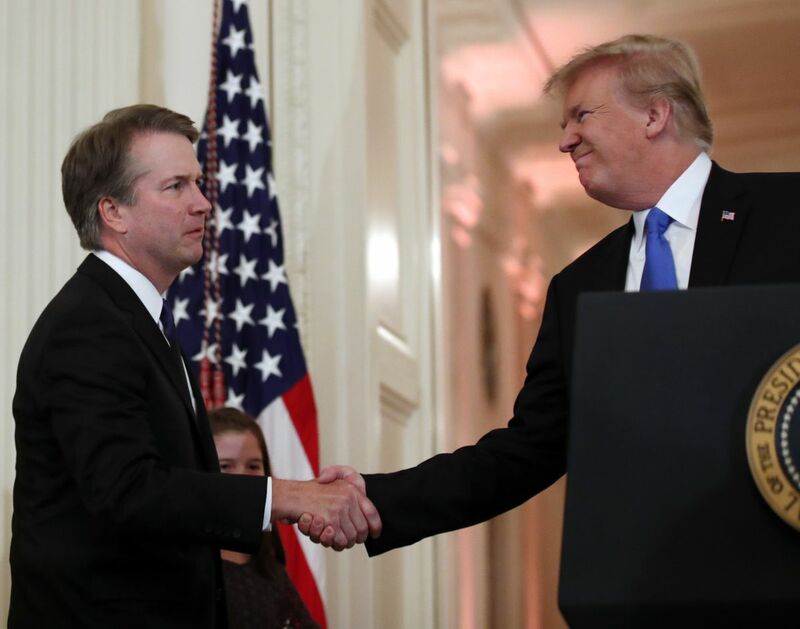 In nominating Brett Kavanaugh to the Supreme Court, President Trump has chosen a jurist who is deeply committed to the Bill of Rights and the rule of law. Kavanaugh — with whom I worked at the White House — is brilliant, meticulous, fair-minded and unfailingly decent. In a saner political climate, a nominee of this temperament, intellect and experience would be confirmed in the Senate with 70 or 80 votes. Yet: In pardoning Dwight and Steven Hammond, the Oregon ranchers convicted of arson on federal lands, Trump gave his blessing to lawlessness. According to the Justice Department, "Witnesses at [the] trial, including a relative of the Hammonds, testified the arson occurred shortly after Steven Hammond and his hunting party illegally slaughtered several deer on [Bureau of Land Management] property. Jurors were told that Steven Hammond handed out 'Strike Anywhere' matches with instructions that they be lit and dropped on the ground because they were going to 'light up the whole country on fire.' … The fire consumed 139 acres of public land and destroyed all evidence of the game violations." The Hammonds' cause had been taken up by right-wing militias. Trump's pardon effectively sided with the militias in their dispute with the federal government. This is not an isolated incident. By pardoning former Arizona Sheriff Joseph Arpaio, Trump excused disobedience to a federal court order and embraced a figure with a long history of profiling and abusing Hispanic migrants. Speaking to representatives of law enforcement last year, Trump urged the physical abuse of suspects. "Like when you guys put somebody in the car," he said, "and you're protecting their head, you know, the way you put your hand over … I said, 'You can take the hand away, OK?'" During the 2016 presidential campaign, Trump repeatedly egged on the physical abuse of protesters at his rallies. "If you see somebody getting ready to throw a tomato," he once said, "knock the crap out of them, would you? Seriously, OK. Just knock the hell — I promise you I will pay for the legal fees, I promise." This is not consistent with the most admirable forms of populism. Some conservative thinkers have excused their conversion to Trumpism on the theory that he is elevating the little guy and speaking for the "forgotten man." This is accurate — unless you are a minority facing a resurgence of state-blessed prejudice, or the victim of police brutality, or a migrant child torn from your family, or a journalist rotting in a Turkish jail, or a house church leader imprisoned in China. Apparently, these little guys don't count. In fact, only a relatively comfortable white conservative thinker could find Trump's record consistent with a passion for the forgotten. All this points to the importance of institutional vigilance in the Trump era. Resisting the abuse of power is hard enough for good people. In Trump, the internal moral checks are absent. In a time of national stress and crisis — when executive authority naturally expands — the restraints on lawlessness and bullying would need to be external. And they may even need to be imposed by the Supreme Court.